A lot of playing saxophone is internal. How you breath, how your air column goes into the horn, all your embouchure. Your fingers can be seen, but not by you while you’re playing. Sometimes we practice in mirrors or record ourselves to get a more objective view and ear on what we play. Playing fast hides a lot of problems and we can cover up other things in our playing with a little effort. Practicing hard to the point where your embouchure is a little tired can feel pretty satisfying. However, it doesn’t always help your playing if you’re not doing it right. And taking breaks in between practicing keeps your mind and body fresh and makes the time you practice more effective. It does require some discipline though. Sometimes we don’t slow down and look for problems that we can fix, because well, it’s not always that fun to do. I thought of a little experiment…. Exercising in proper form is important to getting results and avoiding injury. Slow movements take more energy but can be better controlled. Gyms have mirrors in them so that you can see yourself exercising and I think partly so you have good form. The other day I went to the gym and had my friend Enrique take a video. Raj talks at one point in the background about Rocky 7. Pullups are a great exercise, good for your back and arms, works a lot of different muscles. The experiment was to do as many pullups as I could without any rest between. I used to do these pretty regularly, but haven’t as much lately. Next week, I’m going to do a similar experiment with rest in between them using a specific formula. I’ll track the number, how long it takes, and check out my technique/form. 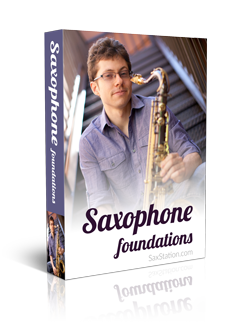 Exercises for Strengthening Saxophone Embouchure?